My Labs Are Normal. Why Do I Still Have Thyroid Symptoms? Countless patients visit their doctors for their annual physicals with complaints that include fatigue, weight gain, anxiety and more. 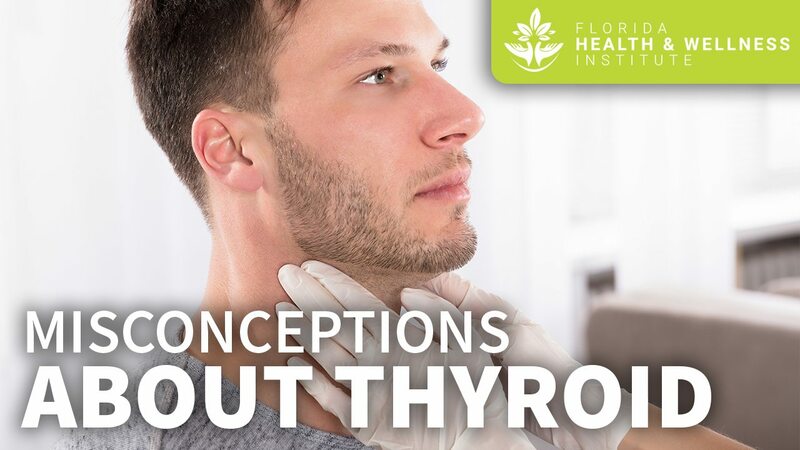 Their doctors then perform screenings that include thyroid labs, only for the labs to come back “normal.” However, if you are experiencing a list of symptoms that are common thyroid symptoms, there’s a chance that there’s something your doctor has missed. Most people know that hypothyroidism is associated with weight gain. Other commonly known symptoms of thyroid issues can include heart palpitations, fatigue, anxiety, and depression. However, there are a number of symptoms that people may not think to associate with thyroid disease. muscle weakness. You may notice that you get worn out far more quickly engaging in physical activities. While some people may think that they are just tired, this is actually a sign of hyperthyroidism. feeling hot or cold all the time. Do you find that you are reaching for a sweater when everyone else seems fine?. Each of these can be symptoms of thyroid disorders. People who have hypothyroidism are more likely to feel cold. They may even display cold purple or blue fingers and toes. Hyperthyroid, by contrast, can lead to heat intolerance. losing your hair. If you are finding that your hair falls out or that it doesn’t seem as full as it used to be, it is not your imagination. Thyroid issues can cause changes in your hair’s texture, making it brittle or thin. dry skin. Many people think that dry skin is just a cosmetic issue. However, it is also commonly caused by thyroid problems. irregular periods. Thyroid issues are most commonly experienced by women. They also get more common as women get older. Some doctors and even some patients will attribute changes in their menstrual cycle to getting older when it’s really caused by a problem with their thyroid gland. Many doctors look just at the TSH (thyroid stimulating hormone) levels when they are assessing a patient for a potential thyroid problem. However, TSH levels only begin to expose potential issues. An individual may have normal TSH levels but still not be utilizing thyroid stimulating hormone correctly, leading to a thyroid imbalance. Your doctor should also be looking at your other values such as T3 and T4 levels. These can provide more information about how well your thyroid is actually functioning. Additionally, it is important to realize that levels that are sometimes considered “normal” are actually a sign of a thyroid problem. Most doctors consider TSH levels that are between 0.5 and 5.0 normal. However, a patient who is still experiencing a range of thyroid symptoms may be hyperthyroid or hypothyroid. Many thyroid health advocates think that the range that is considered normal should be narrowed significantly so that more people who have thyroid problems can get the treatment they need. One other value that is extremely important to examine is autoimmune factors. Both Graves’ disease, the most common cause of hyperthyroidism and Hashimoto’s disease, the most common cause of hypothyroidism, are autoimmune. By examining antibody levels, your doctor can learn whether your immune system has put your thyroid under attack. Even if you are not currently showing symptoms that have been connected to your thyroid, an autoimmune issue should be addressed to reduce the chances of long-term harm. By looking at all of these figures, we can learn more about your condition and help identify underlying causes for your thyroid issues. At our Pensacola practice, we have a passionate belief in listening to our patients. We believe that it is our duty to take your symptoms seriously and help you find the answers that you need. We work with you to identify the root causes of health problems so they can be eliminated at the source. If you are suffering from thyroid-related symptoms but haven’t made progress with a diagnosis, we can help. We will perform a thorough assessment of your labs and your symptoms, then work with you to create a customized treatment plan. Get in touch today.